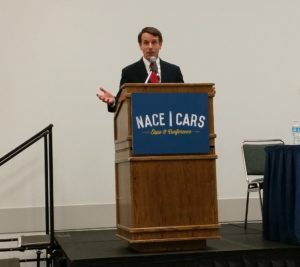 California Insurance Commissioner Dave Jones announced Thursday that the state has formally locked in a regulation suggesting how insurer labor rate surveys should be conducted and how a “prevailing rate” should be calculated. The rather revolutionary document, developed after the state received numerous complaints insurers had been underpaying shops and customers’ claims using ridiculously flawed data, could provide a model for other states with similar shop-insurer battles that leave customers caught in the middle. “Accurate and reliable labor rate surveys ensure that consumers are not left paying out-of-pocket for collision repairs, which should be covered by insurance, or worse, forced to leave the vehicle in disrepair creating a potential safety concern,” Jones, a Democrat, said in a statement. The Office of Administrative Law, which independently evaluates the rest of the California bureaucracy’s regulations, approved the rule Thursday. It technically becomes law Jan. 1, 2017, but insurers have until Feb. 28, 2017, to comply. There is one potential wrinkle: Will a decision in ACIC v. Jones, which was heard by the California Supreme Court in November, curtail how much authority the CDI and other agencies have to define such regulations and prompt insurer lawsuits over this rule, too? “Once we fix labor rates, we fix steering,” California Autobody Association President Ted Stein predicted to a Society of Collision Repair Specialists open board meeting Aug. 9, calling it his opinion. The rules only apply to insurers who choose to conduct labor rate surveys to see what an appropriate price to pay a shop would be. It doesn’t force insurers to perform such surveys, or even use the template provided in the regulations. However, carriers who elected to follow the proposed template could receive a “rebuttable presumption” they were acting in good faith on labor rates. As whatever an insurer refuses to pay is either eaten by the shop or passed on to the customer, the state took an interest. In the spring, the agency chewed out insurers for how it said carriers calculated which rates would be appropriate to pay a shop. Currently, the various insurers determine a geographic area in several ways, including but not limited to United States Postal Service (USPS) Zip Code areas, city, counties, multiple counties, and some highly irregular and customized “markets” or “zones” which the insurer creates. The Department’s experience is that some of the geographic areas used by insurers in surveys result in artificially inaccurate, unreliable, and unreasonably low labor rates that are not representative of the market. For example, in one instance, an insurer used its insurance adjusters’ territories as the geographic areas for its labor rate survey, which may have been convenient for the insurer, but which also had no relationship to the actual market areas where shops were located. The result is a significant range in labor rates used by insurers for the same insured, claimant, or repair shop. A claimant should not be paid significantly differently depending on which insurance company is paying the claim. 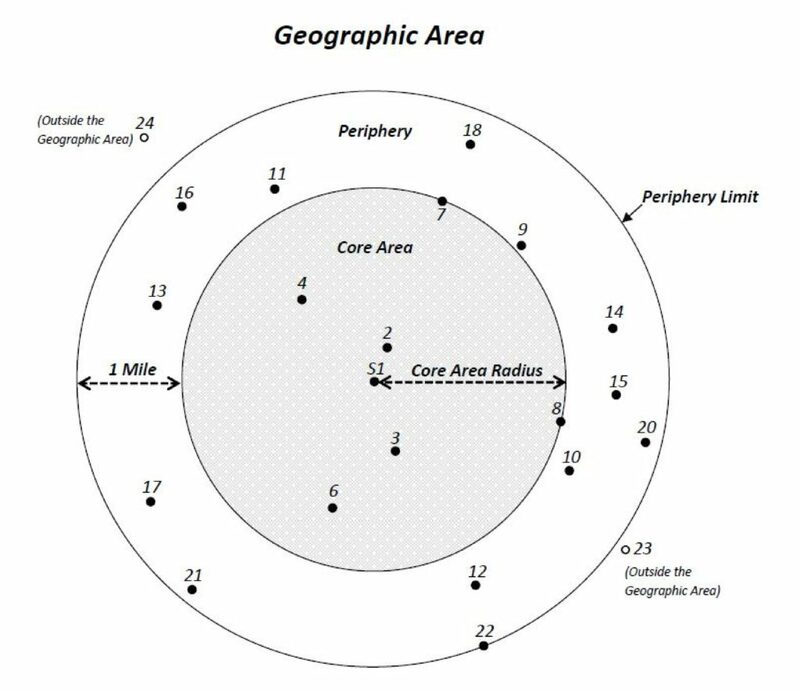 The CDI proposes a market area of the nearest geographic six shops which completed the survey, counting the shop who the insurer’s customer is trying to use if it completed the document, and all other shops within a region extending out a mile from the farthest of the six shops. The regulation says an insurer could for a claim pay either the repairer’s door rate — the rate charged to out-of-pocket customers — or the “rate at or below which a simple majority of surveyed shops charge” for a geographic area. However, nothing stops a shop from negotiating a higher or lower (such as a direct repair program) rate with a carrier, but shops must respond to the survey with their pure posted rate — and not a lower DRP rate. The law also “shall not be construed to imply that the repair shop must accept the amount offered for payment by the insurer or that the amount charged by the repair shop is excessive or unreasonable, but only that the insurer has taken reasonable steps to quantify its contractual or legal obligation for payment of the claim.” That’s an important distinction for shops to remember. The rates provided must be door rates, not discounted direct repair program rates, and include separate hourly rates for “Aluminum,” “Auto Body/Sheet Metal,” “Carbon Fiber,” “Fiberglass,” “Frame,” “Mechanical,” “Refinish” and “Structural Labor” categories of work. Individual shop labor rates and identifying information from the survey won’t be made public by the state, but the prevailing rate for each geographic area will be. Insurers who don’t want to mess with surveys every year can just apply an inflation or deflation calculation to the data once every 28 months. The state expects it’ll cost an insurer about $1.17 million the first year to both comply with the new rules and pay $1.15 million more to collision repairers. Some or all of that $20,000 administrative cost difference should fall in the years when insurers can adjust their findings by the California inflation rate. Oddly, the agency doesn’t seem to consider the possibility insurers will pass some or all of those claims and survey expenses to policyholders. The state itself is estimated to lose $560,000 of its more than $2 trillion gross domestic product (0.000028 percent, in case you were interested) due to the rules. Correction: Carriers wouldn’t have to use the California Department of Insurance’s labor rate survey template, but those who elected to follow the proposed template could receive a “rebuttable presumption” they were acting in good faith on labor rates. The article has been updated to reflect this.